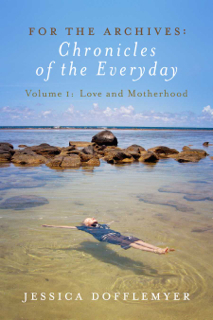 Living on an island as a single mother, raising my six-year old son, I longed to find moments of the profound within my mundane routine. .
Volume 1: Love and Motherhood is a montage of autobiographical pieces from my first year of writing here in the Archives. More than just the story of a solo mothering journey, this collection weaves the common thread of human experience through poignant stories that span a spectrum of the ordinary. Whether depicting scenes of playing Foursquare with my son, trying to fix a faulty washing machine, or being stuck in stalled out traffic, the prose, poetry and photographs of this collection glean light from the seemingly dull details of everyday living.